VOICE stands for "Voluntary Organisations in Cooperation in Emergencies" and it is an NGO network promoting effective humanitarian aid worldwide since 1992. VOICE is the main NGO interlocutor with the European Union on emergency aid and disaster risk reduction, and it promotes the values of its 85 member organisations. VOICE members are active in different sectors of humanitarian aid (such as food and nutrition, health, water and sanitation, shelter, aid to refugees and internally displaced people) in all countries affected by natural disasters, armed conflicts and emergency situations. Most VOICE members have a framework partnership agreement with the Humanitarian Aid department of the European Commission (DG ECHO). These organisations are dedicated to practicing good humanitarian aid and saving lives. Humanitarian aid is intended to save lives, alleviate suffering and maintain human dignity during and after man-made crises and disasters caused by natural hazards, as well as to prevent and strengthen preparedness for when such situations occur. For the past 25 years, VOICE has been working with its member organisations to embed these principles in humanitarian policy at EU level, and present humanitarian NGO perspectives on EU policies having an impact on the EU’s humanitarian aid. For instance, VOICE establishes common positions through working groups such as the FPA Watch Group, which was one of the first official bodies for dialogue with the European Institutions. 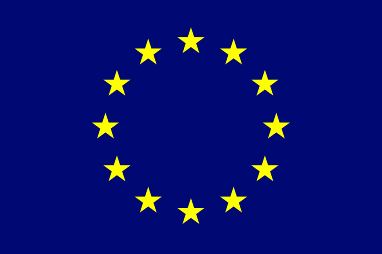 enhance the collective influence of the network with the EU, including with its Member States. promote the humanitarian principles and the quality and effectiveness of humanitarian action. In the 25 years it has existed, VOICE celebrated many successes in its work to promote effective humanitarian aid and partnership between NGOs and EU institutions. The network is now well established as a credible interlocutor for EU institutions and EU policy makers alike on matters of humanitarian aid. Working at global, European and national level to ensure the inclusion of NGOs and their field and policy expertise in the process leading up to the 2016 World Humanitarian Summit, and securing a joint NGO statement on the Summit follow-up. VOICE continues to work for implementation of the Summit commitments, including on the ‘Grand Bargain on humanitarian financing’. Ensuring community approaches in the EU action plan for the Sendai Framework for Disaster Risk Reduction in 2016 through national and European advocacy. Securing additional funding for EU humanitarian aid in the EU Budget in 2014 and 2015 by mobilising our members across 18 EU member states. The signature of the European Consensus on Humanitarian Aid by the European institutions and member states in 2007 was preceded by a broad engagement of VOICE members in the process leading up to it. The network has continued to influence the two plans to implement the Consensus and maintains its commitment to this principled EU standard setting document.